Incredibles 2 Movie Review: Doubles The Nostalgia! 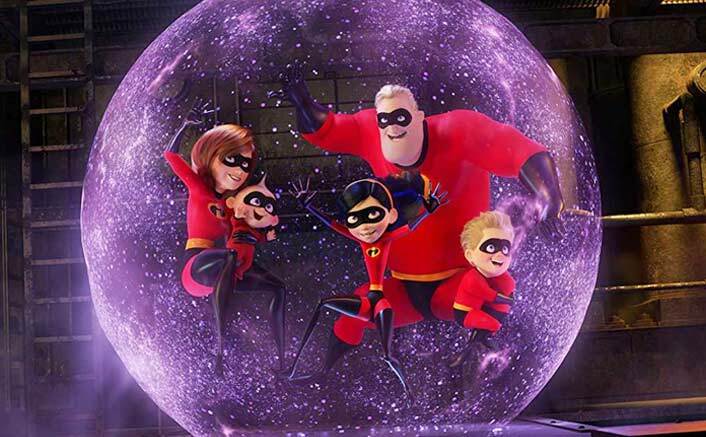 Home » Reviews » Incredibles 2 Movie Review: Doubles The Nostalgia! Incredibles 2 is pure heart and nostalgia. Brad Bird gifts back our childhood to us in the most entertaining way. Star Cast: Craig T. Nelson, Holly Hunter, Sarah Vowell, Huck Milner, Samuel L. Jackson, Bob Odenkirk, Catherine Keener, Brad Bird, Bill Wise, Isabella Rossellini, Barry Bostwick. What’s Good: 14 years since we last saw the incredible Parr family (Yes, I thought to wait before I use that pun but couldn’t) & still the mystery around each of them stays intact, despite being an animated movie it’s stylishly high on action & Jack-Jack steals the cake. What’s Bad: The wait of 14 years! It’s been too hard & bad. Hope we see the third instalment sooner than that. Loo Break: Forget about the loo break, you’ll wish to watch this movie at a stretch without an interval. I was lucky enough to watch it without any break but keep in mind I also watched and REVIEWED Race 3 last week (Have some mercy on me!). Watch or Not? : Those who’ve watched part 1, come on? Those who haven’t, come on! So, a little bit similar to The Incredibles, even this one starts highlighting the fact that how superheroes aka supers are illegal. Despite being prohibited, we know how our concerned Parr family loves to eliminate the bad guys. In a destructive encounter with The, Underminer, Parrs are clearly instructed once again about how the ‘super relocation’ program has been shut & supers are illegal. Meanwhile Frozone (Samuel L. Jackson) gets contacted by Winston Deavor (Bob Odenkirk) who is a fan of superheroes and a telecommunications tycoon owning a company called as Devtech. He has a pretty interesting backstory about why he loves the superheroes. Winston offers Frozone to bring in himself, Bobb Parr aka Mr. Incredible (Craig T. Nelson) and Helen Parr aka Elastigirl (Holly Hunter) as he will help them to restore the official status of Supers to legal. The Parr family, more than happy, agrees to do what they’re asked & Helen returning to her Elastigirl avatar gets face of the program on saving lives in multiple missions. Bobb, who has been asked to stay back at home, discovers how the infant Jack-Jack (Eli Fucile) has not one but 17 super powers. Bringing back the nostalgia, it are the kids, Dash aka Dashiell Parr (Huck Milner), Violet Parr (Sarah Vowell) and cutest of them all Jack-Jack, who bring everyone together in the end. How? Why are you even looking for that question? Go watch the movie. Brad Bird has cooked the same dish, using the same ingredients but it tastes mouth-watering different altogether. He smartly has retained everything that worked for the part 1 adding some refreshing elements to make this one stand out. Brad Bird, director, keeps the best line for himself – a dialogue that defines the whole plot of Incredibles in 5 words. He gives the voice of Edna Mode in the film. “Done properly, parenting is heroic,” says Edna to Bobb. I mean, isn’t this what the entire crux of Incredibles is about. This is where Pixar overtakes Disney to portray a life-lesson in a single scene. Craig T. Nelson is as youthful as ever! 74 years old & yet Craig has every bit of Bobb Parr in his voice. More than amazing, it was nostalgic to hear his voice as our favorite Mr. Incredible. He shares some best scenes of the movie with Jack-Jack. Holly Hunter retains the same quirkiness of Elastigirl & concern of a mother. Incredibles 2 is all about Elastigirl hence making it all about Holly. There’s not a single instance where the dubbing gets scattered. Also, the character of Elastigirl gets a heroic boost as she delivers one of the best action scenes to come out of an animated film. The sibling mockery between Dashiell Parr (Huck Milner) Violet Parr (Sarah Vowell) yet again evokes many laughs & is written very well. But what steals the thunder from each and everything is Jack-Jack (voiced by Eli Ducile). The kids come with 17 superpowers & Eli has done a mind-blowing job with the voice. He’s sure to rule the hearts of all girls out there (‘Aww! The kid was so cute’ was the similar shout out I heard after leaving the Audi). Brad Bird comes up with a sequel which doesn’t disappoint, thankfully. There were monumental hopes from this one & Brad lives up to every single expectation. Along with portraying the supers in a heroic way he maintains the balance playing with the family angle. The emotions are not ‘up there’ like other Pixar films but they’re present for people who could feel them. Michael Giacchino, whose Remember Me (Coco) won the Oscar for the best song this year, is back after Jurassic World: Fallen Kingdom. With doing movies of every genre, he has been proving how he’s someone who can take any type of film and melodize it accordingly. He has retained the original theme, making few instrumental changes. Music takes you back to 2004 with a glee on your face. All said and done, Incredibles 2 is pure heart and nostalgia. Brad Bird gifts back our childhood to us in the most entertaining way. I haven’t met anyone who has hated The Incredibles & I’ll meet no one who will dislike Incredibles 2. Incredibles 2 Movie releases on 22nd June, 2018. 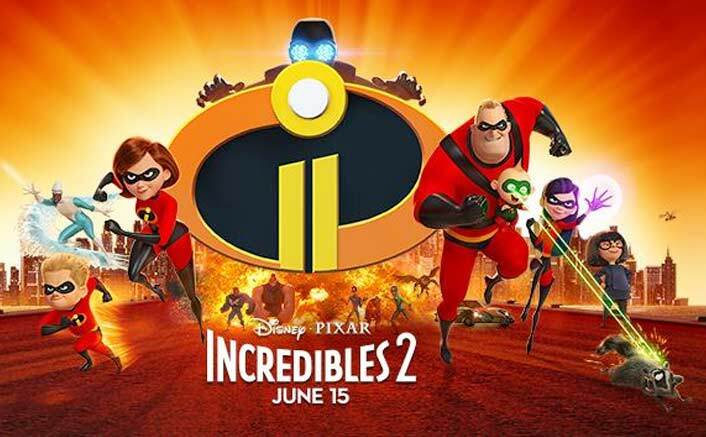 Share with us your experience of watching Incredibles 2 Movie . EXCLUSIVE: Has Akshay Kumar Signed A 3 Film Deal With Yash Raj Films? Race 3 Box Office Day 5 (Tuesday) Early Trends: Here Comes The Drop! Script was heart touching….but direction wasn’t heart touching. Remo Dsouza has spoiled a good script. The story and the direction of Brad Bird need to be applauded when compared to its previous version. This shows the amount of hard work and homework done by the film crew. All in best entertainer at the moment.